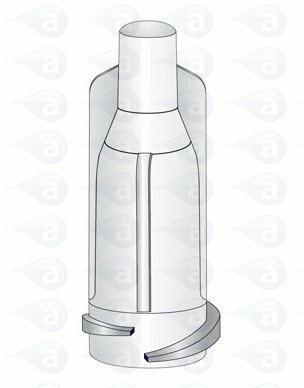 Our precision components provide safe and leak free fluid dispensing from syringe barrels. These tip caps are used to seal the bottom of the barrel for safe storage of liquids inside. Caps are quick to attach and easy to remove. Use with all luer lock and luer slip fittings. Coloured polypropylene tip cap seals for use with all size and types of syringe barrel as well as with luer lock cartridge fittings, luer bottles and many other dispensing components. Provides an airtight leak-free seal. Luer lock twist-on/ twist-off or use with push-on luer slip syringes. Especially suitable to use for filling a syringe or bottle with a watery liquid. Also when shipping filled syringes and bottles by carrier service.. Wide flanges for easy removal and attachment. Double helix locking thread for very secure fixture. Silicone free safe. Suitable for use on luer lock and luer slip barrels or fittings. All plastic components are silicone-free to prevent any contamination of sensitive adhesives placed inside. All products are industrial grade. Supplied in sealed packs with product label and batch code.